Nearly 90 percent of Egyptian voters in a referendum have approved constitutional changes, the election commission said on Tuesday, in a move that could pave the way for President Abdel Fattah al-Sisi to stay in power until 2030. The Duggars’ nickname for a classic dish has been giving people a devil of a time online. White House senior adviser Jared Kushner said Tuesday the investigations into Russia's interference in the 2016 presidential election "had a much harder impact on our democracy" than what Russia actually did. Mere days after Americans read a redacted version of special counsel Robert Mueller's report on the election meddling, Kushner minimized Russia's involvement by describing it as "buying some Facebook ads to try to sow dissent." "Quite frankly, the whole thing's just a big distraction for the country," Kushner, the president's son-in-law, said in a rare public appearance at the Time 100 Summit. Kushner continued: "It's a terrible thing, but I think the investigations and all the speculation that happened for the past two years has had a much harsher impact on democracy than a couple Facebook ads." Mueller's report concluded that the Russian government interfered in the 2016 presidential election "in sweeping and systematic fashion" and that its efforts were designed to help Trump. Kushner, in his first comments since the redacted version was released last week, said the Trump campaign spent far more on Facebook ads in a matter of hours than the Russians did over the course of the election. "So if you look at the magnitude of what they did and what they accomplished, I think the ensuing investigations have been way more harmful to our country," said Kushner, who helped lead his father-in-law's upstart campaign. Kushner was present in the June 2016 Trump Tower meeting with Donald Trump Jr. and campaign chairman Paul Manafort when a Kremlin-connected lawyer offered dirt on rival Hillary Clinton's campaign. But Kushner said he texted an aide to get him out of the meeting because he found it unhelpful. When asked Tuesday why the Trump campaign did not reject Russian attempts to get close to the campaign, Kushner said, "We didn't know that Russia was doing what they were doing." "The notion of what they were doing didn't even register to us as being impactful," he said. "When the whole notion of the Russian collusion narrative came up, I was the first person to say 'I'm happy to participate with any investigations.' I thought the whole thing was kind of nonsense, to be honest with you." Shortly after Kushner's interview, which was broadcast online, President Donald Trump took to Twitter to praise his son-in-law. "Great interview by Jared," the president wrote. "Nice to have extraordinarily smart people serving our Country!" The FBI warned the Trump campaign in July 2016 that Russia would likely try to infiltrate or influence its election efforts. That month, Trump publicly urged Russia to find some of Clinton's missing emails, a remark he later characterized as a joke. And that October, the U.S. intelligence community released a unanimous statement formally accusing Russia of being behind the hacking of the Democratic National Committee, a conclusion Trump repeatedly challenged. White House spokesman Hogan Gidley said Tuesday the president has denounced Russian involvement "multiple times," though Trump himself has repeatedly cast doubt on the conclusion that Russia was involved and has not publicly warned Moscow against interfering again in 2020. Mueller wrote that the Trump campaign "expected it would benefit electorally from information stolen and released through Russian efforts." But the special counsel said investigators concluded, "While the investigation identified numerous links between individuals with ties to the Russian government and individuals associated with the Trump Campaign, the evidence was not sufficient to support criminal charges." On other topics, Kushner said: * The administration's Middle East peace plan that he's been working on would likely be unveiled after the Muslim holy month of Ramadan, which ends June 4. * He would make his recommendations for an immigration plan to the president by the end of next week, after which Trump would develop a revamped proposal. * Only "time would tell" if Saudi Arabia's crown prince, Mohammad Bin Salman, with whom he has a close relationship, would change his ways in the aftermath of U.S. intelligence agencies' conclusion that he ordered the killing of Washington Post columnist Jamal Khashoggi. SEATTLE (AP) - The future of one of the Northwest's largest electronics recyclers is uncertain after a judge sentenced its two founders to more than two years in prison each for fraud. Total Reclaim Inc. recycles electronic waste from government and private organizations in Washington, Oregon and Alaska. Embassies in Europe have wound up on the receiving end of an ongoing hacking campaign with roots in Russia, a multinational cybersecurity firm warned Monday. Acting Homeland Security Secretary Kevin McAleenan said Tuesday that his department needed more troops on the southern border, where he expected to leverage a "robust partnership" with the Department of Defense and continue building a barrier blocking unauthorized entry. 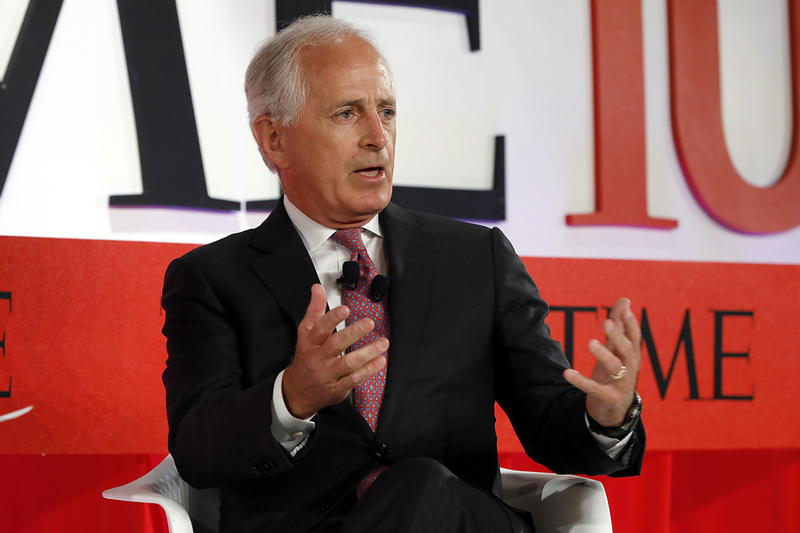 Former Republican Sen. Bob Corker said Tuesday that the country would benefit from a formidable primary challenger to President Donald Trump. But Corker warned that if Trump faced a less threatening opponent, no one would pay attention. So far, only former Massachusetts Governor Bill Weld has mounted a primary challenge against Trump. The former Senate Foreign Relations Committee chairman, who retired earlier this year, was one of the most vocal Republican critics of Trump in the Senate. Trump also repeatedly attacked him on Twitter, at one point calling him “Liddle Bob Corker.” In his interview with TIME, Corker criticized Trump for dividing the country further. President Trump and Twitter CEO Jack Dorsey will meet Tuesday to discuss "the health of the public conversation" on the social media site, among other subjects, a report said. 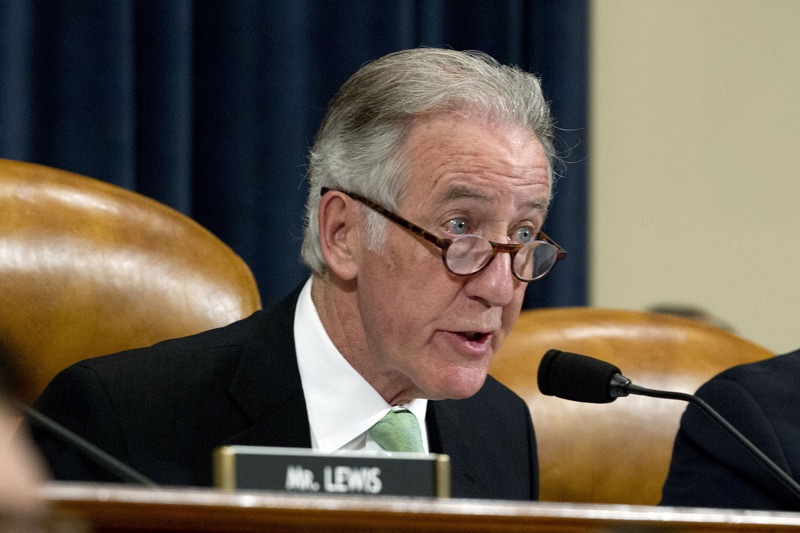 The Trump administration missed a 5 p.m. Tuesday deadline to turn over the president’s tax returns to House Ways and Means Chairman Richard Neal, intensifying a standoff that will likely wind up in court. Spanish Prime Minister Pedro Sánchez says he would not consider forming a government with the center-right Citizens party, clearing a major unknown heading into Sunday's general election. An official Kendall Jenner Teeth Whitening Pen can now be yours. More than a year after #MeToo exploded and prompted millions of survivors to share their experiences with sexual assault and harassment, Tarana Burke, the activist who founded the movement, said there is “so much more” that needs to be discussed, including the “untold” stories of minority women. At the inaugural TIME 100 Summit on Tuesday, Burke said much of the focus of the movement has been put on powerful men in Hollywood and the mostly white female celebrities who have accused them of sexual assault and misconduct. But there are tons of voices that have gone unnoticed, including those of indigenous women and minorities, the activist said. As the movement evolves, Burke also said it’s important to talk about holding decent men accountable when they act inappropriately, even if they are perceived to be an “ally” in other areas. “What I realized in the last year is that people are OK when you’re talking about the big, scary bad guy,” Burke said, rattling off the names of “big boogymen” public figures who have been accused of sexual misconduct, including Harvey Weinstein and R. Kelly. Burke started the grassroots Me Too movement in 2006 to help sexual assault victims after being sexually assaulted herself. In 2017, TIME named “The Silence Breakers,” those who shared their stories of sexual assault and harassment, as Person of the Year after actor Alyssa Milano helped popularize Burke’s movement with a viral tweet urging every woman who had ever been sexually harassed or assaulted to write “me too” in a social media post. In just one year, the #MeToo hashtag has been used more than 19 million times on Twitter alone, according to a Pew Research Center analysis. “You have millions of people walking around, saying my life has been adversely affected by this. We need culture change,” Burke said Tuesday, adding that she’s “hopeful” the movement will make a difference. The TIME 100 Summit spotlights the progress made by the world’s most influential people. The day-long and live-streamed event in New York City is an extension of the annual TIME 100 list. Other panelist speakers at Tuesday’s Summit included former U.S. Secretary of State Hillary Clinton, White House adviser Jared Kushner, Apple CEO Tim Cook and primatologist Jane Goodall. 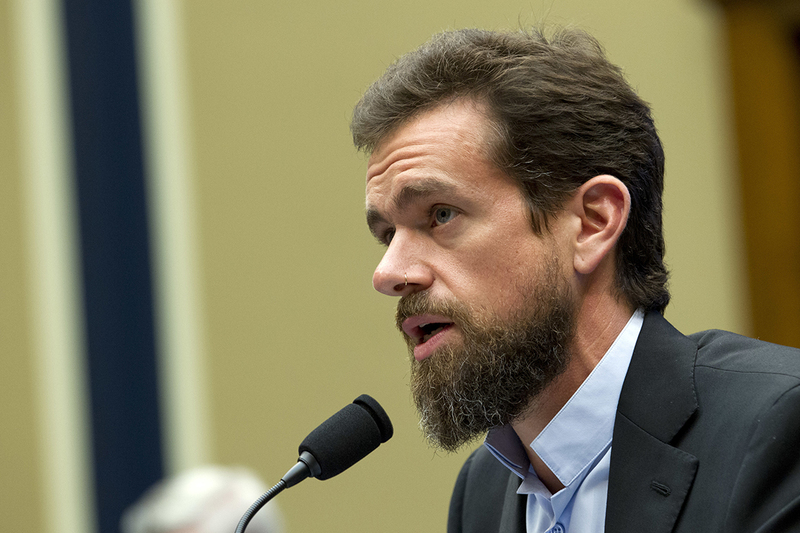 WASHINGTON (AP) - President Donald Trump says he had a "great meeting" Tuesday with Twitter CEO Jack Dorsey after bashing the company profusely earlier in the day. Trump and some Republicans in Congress have complained that social media giants are biased against Republicans, something the companies have rejected as untrue. Prime-time viewership numbers compiled by Nielsen for April 15-21. Listings include the week's ranking and viewership. 1. "NCIS," CBS, 11.89 million. 2. "The Big Bang Theory," CBS, 11.45 million. 3. "Game of Thrones," HBO, 10.29 million. 4. "FBI," CBS, 8.77 million. 5. "60 Minutes," CBS, 8.47 million. Mexico has returned 15,000 migrants in the past month, a senior government official said on Tuesday, pointing to an uptick in deportations in the face of pressure from the U.S. President Donald Trump to stem the flow of people north. A strong earthquake of magnitude 6.1 struck northeast India's Assam region on Wednesday, the U.S. Geological Survey said. Two brothers were both suicide bombers in the Sri Lanka massacre — and one of their wives later blew up herself and their two children during a police raid, according to a report. China will hold its second Belt and Road Forum for International Cooperation from April 25-27 to outline the implementation of the BRI, which aims to strengthen infrastructure, trade, and investment links between the Asian superpower and 154 countries and international organizations. Hun Sen will join nearly 40 other heads of state and 150 global representatives at the event, where he will speak on “boosting connectivity to explore new sources of growth,” according to a statement issued on Monday by Cambodia’s Ministry of Foreign Affairs. Last week, China’s economic planning agency said that the total trade volume between China and BRI nations had exceeded U.S. $6 trillion from 2013 to 2018, and that China has spent U.S. $80 billion in direct foreign investment in these countries. Critics of the BRI say that China is using investment to push its own political agenda, and that nations involved in the initiative see their sovereignty undermined if they fall into a “debt-trap” that leaves them beholden to Beijing because they are unable to meet regular payments on loans and default. Speaking to RFA’s Khmer Service, Carlyle A. Thayer, Emeritus Professor at the University of New South Wales, noted that Cambodia is already an estimated U.S. $3 billion in debt to China, and that it stands to take on further debt through the BRI. “China provides most of overseas development assistance in the form of loans—these must be repaid,” Thayer said. “In addition, although China finances major infrastructure projects that do contribute to Cambodia’s economic development, recurrent maintenance costs are left to the host country,” he added. Under the BRI, China has pledged to invest in Cambodian agriculture, finance, special economic zone development, capacity building, culture and tourism, and environmental protection—though the lion’s share of funding will be set aside for infrastructure projects that include highways, bridges, ports, airports, and high-speed rail. Thayer noted that Cambodia was an early backer of the initiative and said Hun Sen’s attendance at this week’s forum will reaffirm his nation’s support for the BRI, while adding political clout for China’s hosting of the event. “Beijing expects nothing less and will continue to reward Cambodia by extending diplomatic and political support, continued economic engagement [such as aid, trade and investment], and defense cooperation,” he said. As Cambodia’s largest trade partner, its most important foreign investor, and a major supplier of development aid, Thayer said the country “has no realistic alternative to dependence on China,” while Beijing benefits from maintaining a regional client it can count on to support its core interests. Cambodia drew condemnation from Western trade partners and aid donors after its Supreme Court dissolved the CNRP in November 2017, paving the way for Hun Sen’s ruling Cambodian People’s Party (CPP) to steamroll a general election in July last year widely seen as unfree and unfair. China, which offered its full support of Hun Sen’s government following the election, typically offers funding without many of the prerequisites that the U.S. and EU place on donations, such as improvements to human rights and rule of law. But Thayer said Cambodia’s government had “painted itself in a corner” by targeting its political opposition amid a wider crackdown that also included restrictions on NGOs and the independent media. Since the election, the U.S. has announced visa bans on individuals seen as limiting democracy in the country, as part of a series of measures aimed at pressuring Cambodia to reverse course. The European Union, which was the second biggest trade partner of Cambodia in 2017, has said it will drop a preferential trade scheme for Cambodian exports based on the country’s election environment. Hun Sen’s planned visit to Beijing comes as the U.S. Embassy in Phnom Penh warned through social media that Cambodia’s relations with China had done little to create jobs in the country, when compared to its partnerships with the U.S.
“China is Cambodia’s largest trade partner, but this relationship is heavily skewed in China’s favor,” the post to the embassy’s Facebook page said. The statement noted that China had built nearly 40 highways and bridges for Cambodia and helped to construct every hydropower station in the country, while questioning how the U.S. had contributed. Cambodian Minister of Information Khieu Kanharith accused the U.S. of releasing “fake news,” as part of a bid to drive Cambodia and China apart. “We want to build a good relationship with all countries, especially the U.S., but some individuals are trying to destroy this relationship because of their ignorance,” the minister wrote on social media. On Tuesday, Koul Panha, director of local NGO Comfrel, told RFA that Chinese money is negatively impacting the people of Cambodia because of the way it is invested. Chinese investment has flowed into Cambodian real estate, agriculture and entertainment—particularly to the port city of Sihanoukville—but Cambodians regularly chafe at what they say are unscrupulous business practices and unbecoming behavior by Chinese residents, and worry that their country is increasingly bending to Beijing’s will. Trade volume between Cambodia and China was valued at U.S. $5.8 billion in 2017, up 22 percent from U.S. $4.76 billion dollars a year earlier. China, Cambodia’s largest investor, has poured U.S. $12.6 billion into the Southeast Asian nation from 1994 to 2017. China's coffee unicorn startup that is challenging Starbucks in the race to dominate China's growing coffee culture, filed for a US initial public offering. President Donald Trump met with Twitter CEO Jack Dorsey at the White House today, hours after he took to Twitter to accuse the company of discriminating against him. Ahead of the meeting, Trump, a prolific Twitter user, repeated allegations that his favorite social media platform stifles conservative speech, accusing it of playing “political games." Those comments echo complaints by a number of Republicans, who've alleged that Twitter and other top tech firms routinely stifle conservative content. The companies deny any political bias. Trump later tweeted that he had a "Great meeting" with Dorsey, writing, "Lots of subjects discussed regarding their platform, and the world of social media in general. Look forward to keeping an open dialogue!" Motherboard, which first reported the meeting, said the pair were slated to discuss "the health of the public conversation on Twitter." (NEW YORK) — The S&P 500 index is closing at a record high, surpassing the peak it set last September and recouping all the ground it lost in a nosedive late last year. The Nasdaq index also closed at a record high Tuesday. The market has risen sharply since bottoming out on Christmas Eve, driven by greater confidence in the economy and reassurances that the Federal Reserve is unlikely to raise interest rates this year. The gains Tuesday came as big U.S. companies began turning in solid results for the first quarter. Hasbro soared 14.2% and Twitter jumped 15.6%. The S&P 500 rose 25 points, or 0.9%, to 2,933. The Dow Jones Industrial Average rose 145 points, or 0.5%, to 26,656. The Nasdaq added 105 points, or 1.3%, to 8,120.